Obertauern’s great snow record means that it has one of the longest ski seasons in the Alps, and scientific findings confirm: Obertauern is Austria’s snowiest winter sports destination. This season, there’s a huge amount on offer for skiers looking to experience the best of this reliable resort. The main season really begins with the resort’s famous Ski-Opening festival, which this year runs from 30 November until 2 December 2018. The indie pop band Wanda will be on stage on the Saturday evening, giving their utmost and getting all the Obertauern fans going. The traditional Krampus parade of hundreds of Krampus figures and the Ö3-Party will be held a week later on 8 December. Obertauern’s #Sheskis Day, which the resort runs in partnership with Atomic, has proven very popular over the past two seasons, and this very special event is back for the third time on 30 March 2019. The event promotes active networking among leading women, and indeed all women on the and off the slopes, and is part of a wider approach that will see Obertauern sponsoring more women’s projects that, alongside winter sports, highlight relaxation, deceleration and recreation. The season starts winding down in April with the biggest treasure hunt in the Alps: the Gamsleiten Criterion, 5–7 April 2019. Back for its thirteenth staging next year, what’s probably the funniest and largest treasure hunt in Austria sees hundreds of people digging in the snow on Gamsleiten 2 – one of the steepest ski slopes in Europe and Obertauern’s unofficial landmark – searching for some real treasure! A total of 30 chests are hidden, all of them containing prizes, and all of them exciting reasons to participate in the quest. But the star prizes are two keys to new BMW cars! Traditionally, the last day of the ski season is 1 May. Obertauern has a great range of accommodation choices to suit all budgets, from warm and welcoming B&Bs or comfortable apartments right through all categories of hotels up to luxurious five-star establishments. 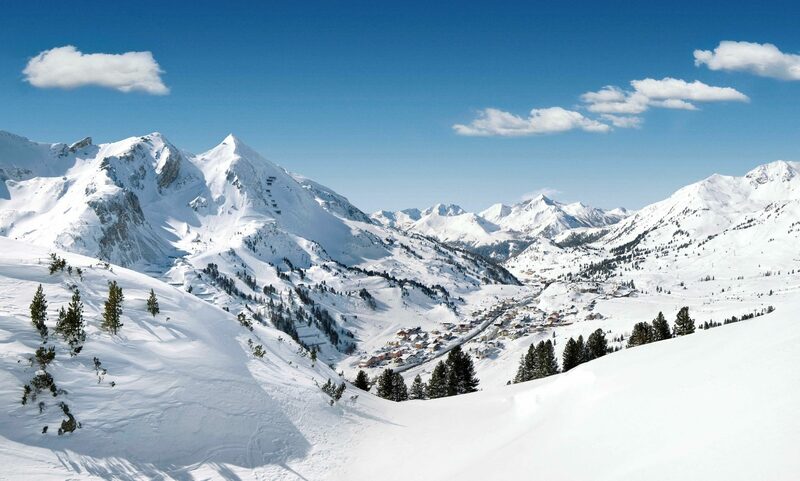 Look out for special offers throughout the nearly six-month long ski season if you book direct via obertauern.com. These often include low-cost accommodation combined with packages including lift passes, rental and ski school at one inclusive high-value price. For example, look at the Opening Weeks from 21 November to 22 December 2018 and the Powder Snow Weeks from 12 January to 2 February 2019. Then, as the season winds down, there are the Sun & Fun Weeks from 22 March to 13 April 2019 and from 24 April to 1 May 2019. There are special weeks for families too, known as Bobby’s Snow Adventure Weeks, which offer similar savings and more, extended to include children, and can include discounts on airport transfers, as well as the ski holiday costs. Bobby’s Snow Adventure Weeks also include extra entertainment and activities for children. They run each week between 12 January and 2 February 2019 and finally the week 6–13 April 2019.